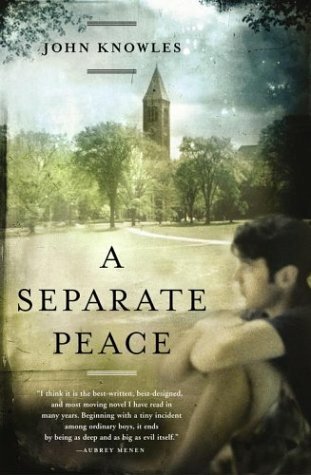 Random And Some: "Nothing endures, not a tree, not love, not even a death by violence"
"Nothing endures, not a tree, not love, not even a death by violence"
I just finished reading A Separate Peace (1959) by American novelist John Knowles. Ranked No. 67 on Modern Library's 100 Best Novels list, Knowles' coming-of-age story became a New York Times bestseller nod and reeled in the William Faulkner Foundation Award. Fifteen years after graduating, Gene Forrester returns to Devon, his old prep school. He visits two places he regards as "fearful sites": a flight of marble stairs and a tree by the river that he caused his friend, Phinaes, to fall out of.